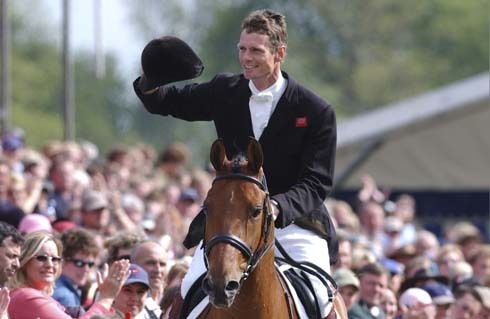 William Fox-Pitt is one of Britain’s top event riders. He has won an unprecedented 14 CCI four-stars, more than 50 CCI three-day events and more than 20 CIC one-day events. William has been a British team regular for many years, representing Team GBR at several Olympic, World and European games. A member of the British team at the past four Olympics where he has won two team silver medals. Eight time senior European squad member, winning four team golds, one team bronze, one individual silver and one individual silver medal. The only rider to have won five of the six CCI4* three day events worldwide. He has been British Number One multiple times and was the first British rider to become the World Number One in eventing. He has won Badminton twice; in 2004 with Tamarillo and in 2014 with Chilli Morning, who is the only stallion to have ever won the event. William has won Burghley Horse Trials an incredible six times. William Fox-Pitt has recently recovered from a brain trauma sustained in a cross-country fall while competing in the seven-year-old CCI2* class at the FEI/WBFSH world championships for young eventing horses 2015 at Le Lion d’Angers with Reinstated. Shortly before Christmas 2015, he released a video showing him riding for the first time since the fall. He returned to competition in spring 2016 competing two horses at Burnham Market. He has been selected to represent Britain at the Rio Olympics, which will be his fifth Games. 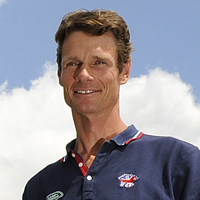 William Fox-Pitt is married to Channel 4 Racing presenter Alice Plunkett. They have four children. Tomatillo will be used for breeding and “if all goes well” he will event in future. Badminton dressage scores: why have they changed and what do riders think?